Illinois teachers' salaries aren't the highest in the country, but our teachers do the important work of educating our children and setting up the next generation for success. Since there are 866 public school districts in Illinois, we only examined the 25 largest based on student enrollment and calculated the average annual salary for teachers with one year of experience in all subjects (with a bachelor's degree) according to 2012 data from the Family Taxpayers Foundation. Student enrollment numbers were taken from Illinoisreportcard.com. 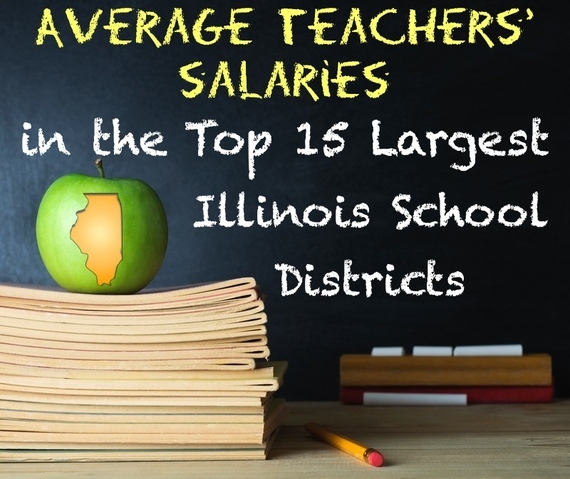 Check out the average teachers' salaries at 15 other large Illinois school districts, plus the average salaries for teachers with master's degrees in the 25 biggest districts at Reboot Illinois.